Having grown up in the Mississippi Delta in Helena - West Helena, Arkansas, Ed's musical exposure encompasses a wide variety of music which includes Blues, Pop, Classical, Country and Sacred influences. Ed made intermittent appearances at Helena's KFFA Radio dating back to the 1940's offering renditions of harmonica, vocal and clarinet arrangements on several local variety shows. Veteran U.S. Navy serving in Pacific theatre during Korean conflict. 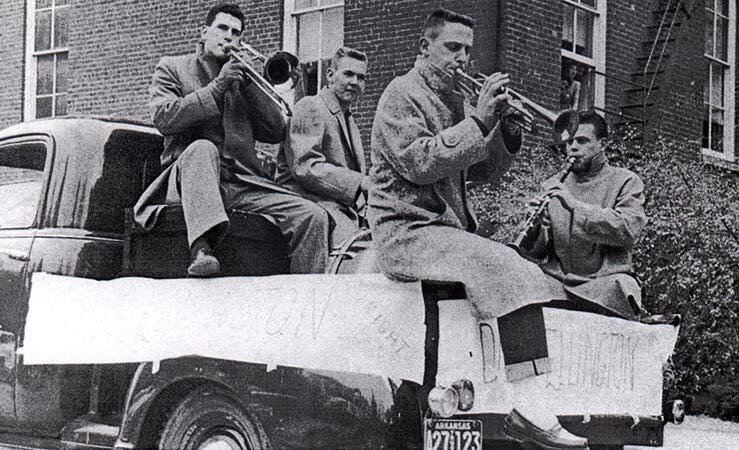 After military discharge then entering University of Arkansas in spring of 1954 and formed a combo which played renditions of Dixie Land, Blues and various tunes on juke boxes. This musical experience led Ed to several aspiring up and coming rockabilly performers, among them Carl Perkins, Jack Nance, Ronnie Hawkins, and Roy Orbison. 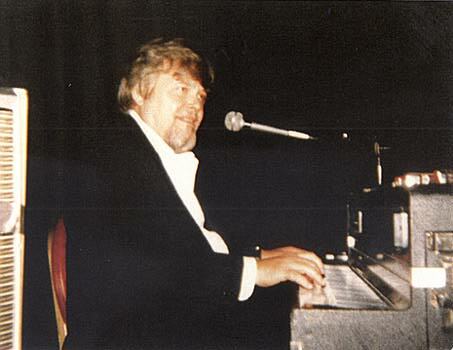 Ronnie was also a student at University of Arkansas and would sit in with the group from time to time. 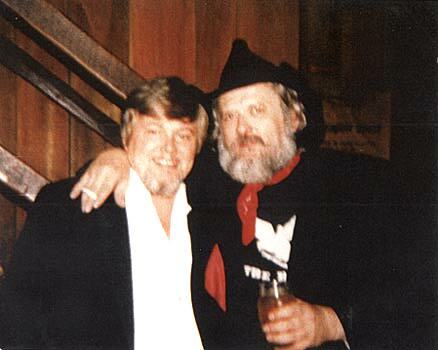 Ronnie and Ed later collaborated in Ed's grandmother's Helena home which led to the formation of Ronnie and band, which became known as Ronnie Hawkins and the "Hawks." and Stuart Smith, Batesville; and Ed Burks, West Helena. All the members of the group were from the area (either Phillips or Lee County) which included Levon Helm, Jimmy 'Luke' Paulman and Willard Jones. Ed's harmonica stood him in good stead in those days since the clarinet was not considered a commercial instrument in those early days of rock and roll and rockabilly. Conway Twitty (Harold Jenkins), another home town boy, was coming on strong in Canada and knocked the charts down, with his '58 single: 'Only Make Believe'. During these months Hawkins came forth with '40 Days', 'Mary Lou' and 'Ruby Baby' which kept the group busy with club dates and recording sessions in CDA. Ed appeared with the group on American Band Stand and recorded with them on Ronnie's 'Mr. Dynamo' album. By that time Fred Carter had been added on guitar and also Jimmy Evans on Bass. On one of the trips to Canada from Arkansas we stopped in Fayetteville at UA Fine Arts Center and recorded some tracks. Ed was featured on harmonica. 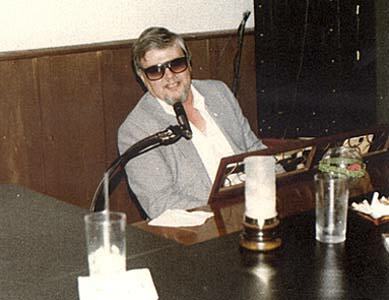 Ed Burks and "The Hawk"
Ed's musical career continued through the years including formation of a 6 piece group 'The Jesters' which led to several regional engagements including country clubs, teen dances and some dates at Jim Ed Brown's Trio Club in Pine Bluff, Arkansas. In 1962 Ed struck out for Las Vegas, Nevada playing several lounges and expanding his piano facility as well as doing more vocals. Upon returning to Helena in 1965 formed a 3 piece combo comprised of Ed, C.W. Gatlin, guitar and Helena drummer: Jerry Nolan. 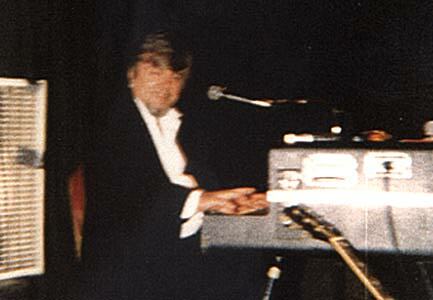 Ed at Little Rock's "Cadillac Club" Piano Bar. After a Midland, Texas tour in 1966 with Hawkin's former guitar man. Jimmy Paulman, Ed teamed up with a Kansas city group with leader, Ric Evans who is noted for his #1 hit in 1969: "In The Year 2525. The music trail took Ed back to Canada in 1970 where he performed with Ron Hawkins in Western Canada and also doing a single act in Saskatoon. Ed continues to perform as a single act generally after having completed 13 years in the St. Louis, MO area and is now back in Arkansas where he is still building his following. "I'll Miss You When I'm Gone"